When are the Fall Colors at their Peak? Every year it's the $1,000,000 question. According to Kathy Mathews, biology professor at Western Carolina University, regular sunlight and less rain in Septemer will enable leaves to produce high levels of sugar, which enhances their color as the weather turns. Click here for up to date info provided by the US Forest Service on the progression of colors as they begin changing in this area. Make your plans to take advantage of the gorgeous shades of orange, red and yellow as they splash across Macon County. Now in its 17th year, Pumpkinfest in Franklin, NC has grown to be one of the most popular events in Western North Carolina. Historic Downtown Franklin is transformed into a giant playground full of activities to be enjoyed by all ages. Mark your calendar for Saturday, October 26, 2013 - this year's Pumpkinfest date. The highlight for many festival goers is the opportunity to participate in Franklin's World Famous Pumpkin Roll. Hundreds vie each year for the $100 top prize for rolling their pumpkin the farthest. There will be a limited supply of pumpkins for sale downtown or bring your own. Other activities include a wide variety of live entertainment including great music and roving street performers including a fire eater/spinner. The Kids Zone has also been expanded this year to include inflatables, lots of games for all ages and much more. You can also participate in many different contests from best costume to eating pumpkin pie, a screaming contest and more. Plus, there are dozens of arts & crafts booths, great festival food and great shopping in downtown Franklin. Trick or Treating --- Mountain Style! Halloween in the Park is an annual event in Franklin held at the Macon County Recreation Park on October 31, 2013, 5:30-7:30 pm. It's Trick or Treating with a different twist. Instead of going door to door (which can be tricky in the Mountains), children and adults don their scariest/funniest/most creative cosumes and visit the Recreation Park where Local Vendors have set up booths and give away treats. Last year there were in excess of 1000 folks that attended. The kids love it! 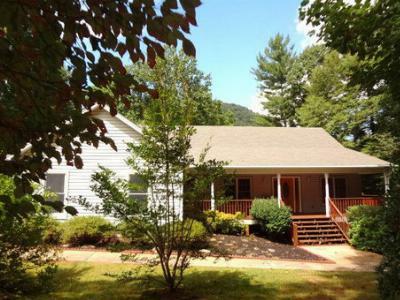 One of the Most beautiful BIG CREEK properties you'll ever see! 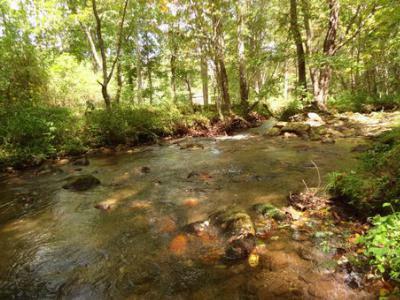 6.05 Acres with hundreds of feet of Creek Front. Picnic, camp, or fish from your own bank. First time on the market, original owners. History abounds as this is the site of the original Stewart Home Place circa 1907. 3 Bedrooms, 3 Baths. Outdoor Living Space includes three covered porches. Open Floor Plan with'Hardwood Floors in BRs, LR, DR, Kitchen, Foyer, Sunroom. Ceramic Tile all Baths. Master Bath w/HUGE custom walk In Closet, Clawfoot Tub, Tile Walk In Shower. 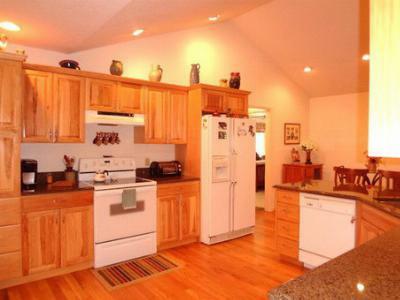 Terrace Level has Game Room, Family Rm w/Woodstove, Bonus Room that can be 4th Bedroom, full bath + 2 Unfinished Areas. Yes, you're reading correctly! The number of home sales in our area has risen 33.21% over the same time period in 2012. In 2013 YTD, 353 homes have sold compared to 265 in 2012. The hottest price range this year is $100,000-$120,000 with 47 homes sold. Why? Homes prices are low and interest rates have gone up by 1% or more in the last few months. If you've been sitting on the fence waiting for prices to go lower, don't. They have leveled off. With interest rates moving up, now is the time to purchase that vacation home or primary residence you've been thinking about. Visit my website and check out the current inventory, there are still many good deals out there. Thank you for helping build my business. I love what I do and do what I love....I'm a lucky girl! If you know anyone who is looking to buy or sell property in our area, I would appreciate you giving them my contact info. I promise to treat them like royalty. Call or email me, I'm here to help.